What a beautiful shot and entry for the challenge! Lovely shot, it almost looks like snow, which is interesting as there’s a lot of warmth in the photo. Thank you Laura 🙂 It does look like snow doesn’t it? 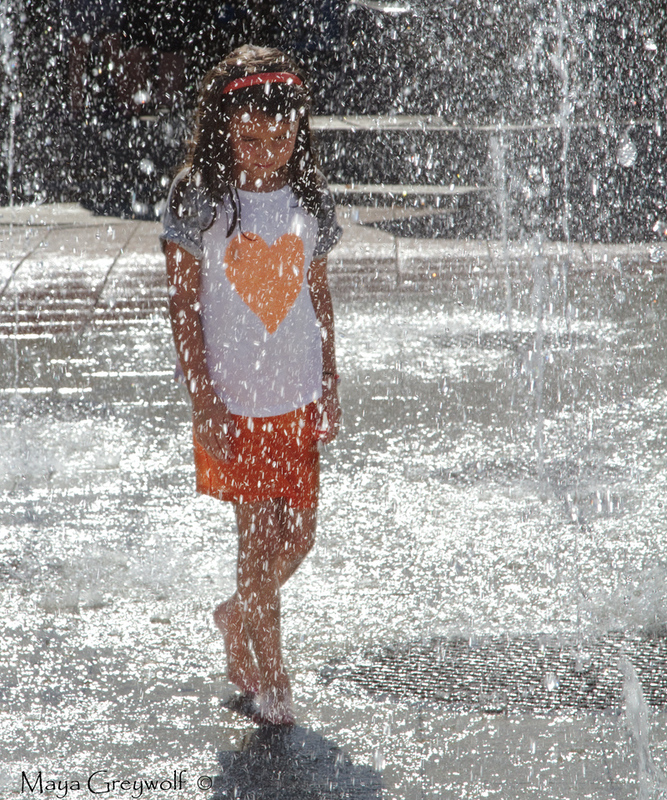 This was taken in our downtown square where the kids play in the fountains in the summertime. It is absolutely glorious to watch run, frolic, and enjoy the dancing water. I so in love with this one… Thank you, Maya!! I love this, Maya! Such a sweet image with wonderful detail! Thanks Susan 🙂 I wonder if she often looks so contemplative.